The state tree of California is the Redwwod which was designated as such by the state legislature in 1937. There are 2 types of Redwood trees: the coast redwood (Sequoia sempervirens) and the giant sequoia (Sequoia gigantea). These trees are giants because they can grow very, very tall and get to live thousands of years. The giant sequoia is the largest tree in the world. Its trunk can measure up to 30 feet in diameter and can live over 3,000 years. The coast redwood is the tallest tree in the world and can average about 300 feet in height. 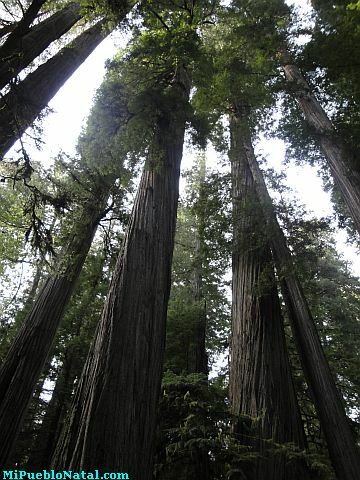 If you have never been at the California Redwoods, you have got to go and see these giants. 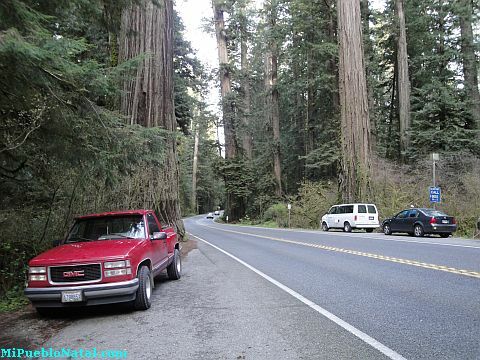 There are miles and miles of these trees and if you are coming from Oregon via the Redwood highway, you can see many of them on both sides of the road. Other special keywords used to help you find this page are state tree of California, state tree California, and California tree.